"Living Coral" is a coral hue with a golden undertone. According to their release statement, it is animating and life-affirming hue that energises and enlivens with a softer edge. It represents the fusion of the digital world and our natural environment. You can find their full statement for the choice here. 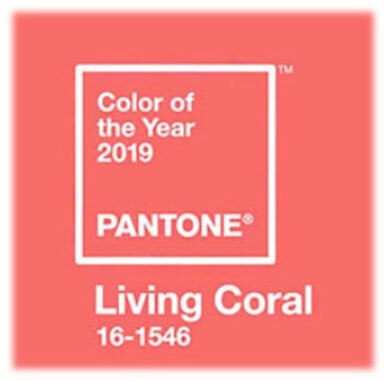 I think it is a wonderful choice as the colour is more versatile than the purple hue last year because Corals are less daring. By incorporating a coral hue into your winter wardrobe or makeup spring comes a little earlier to you. I will be dedicating a fashion and a makeup post to Living Coral in the upcoming weeks to give you some inspiration to rock this shade.